Research published in the British Dental Journal shows that Brush DJ, an app designed to encourage youngsters to adopt and maintain an effective oral health care routine using evidence-based techniques, is effective in its aims. Brush DJ was launched on the Apple App Store at the end of 2011 and in 2013 it was accepted into the NHS Choices Health Apps Library. By February 2015 Brush DJ, which is free with no advertisements or in-app purchases, had been downloaded on more than 197,000 devices in 188 countries. It can be used with any type of toothbrush. The app plays music for two minutes – the optimum time for brushing teeth – taken from a playlist or randomly from the user’s own device or cloud. 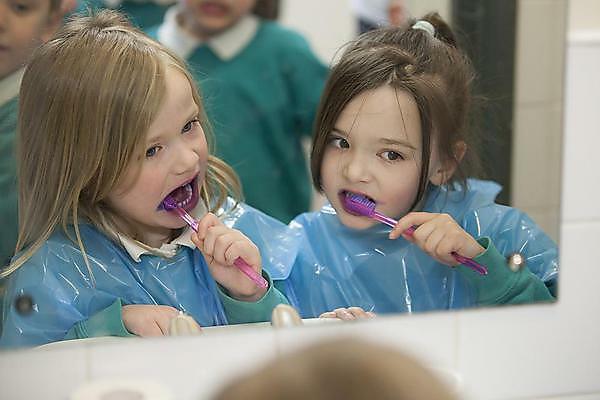 As well as encouraging tooth brushing for two minutes, it also reminds users to spit out after brushing but not to rinse, sets reminders to brush twice a day, use a mouthwash at other non-brushing times of the day, sets alerts for dental appointments and reminders to change toothbrushes once every three months. Fundamentally, it makes brushing teeth fun for youngsters. The British Dental Journal research was carried out by a team including a general dental practitioner and NHS Innovation Accelerator Fellow from York, a consultant orthodontist from Rotherham NHS Foundation Trust and a lead dental researcher, educator and Foundation Dean of the Peninsula Dental School from Plymouth University Peninsula Schools of Medicine and Dentistry. The research showed that 70 per cent of respondents reported their teeth felt cleaner since using the app and 88 per cent said that Brush DJ had motivated them to brush their teeth for longer. Ninety per cent said they would recommend the app to their friends and family. The research team concluded that not only had Brush DJ contributed to greater motivation for young people to care for their teeth more effectively, but it also has huge potential as a way to convey important oral health messages and information. Indeed, a recommendation from the study suggests that it would be reasonable to prescribe such an app in the same way in which fluoride toothpastes are currently prescribed in the UK. Brush DJ can be downloaded free of charge from, Apple, Android and the NHS Choices Health App Library free of charge to all mobile devices.